I have always been fascinated by movies based on true stories as I believe it adds severity to what I am watching on screen. Captain Phillips is amongst a vast range of movies such as 12 Years a Slave, Rush, Dallas Buyers Club, 127 Hours and Hacksaw Ridge to name a few which really gets you thinking about how terrifying it would have been for all those involved. What really adds to the realism and tension in Captain Phillips is the documentary styled film making. Paul Greengrass’s excellent use of POV shots, close up’s and shaky cam truly adds an element which brings you closer to the story and action. Some movies overuse these camera techniques and place them within scenes which makes you struggle to focus, however Greengrass has become an expert in this craft which has been proven within his earlier work with the Bourne movies. What’s interesting is if you read up on the events of the Maersk Alabama hijacking in 2009, members of the crew place the blame on the decisions of Captain Richard Phillips resulting in 11 members suing Maersk Line and the Waterman Steamship Corp. for nearly $50 million. 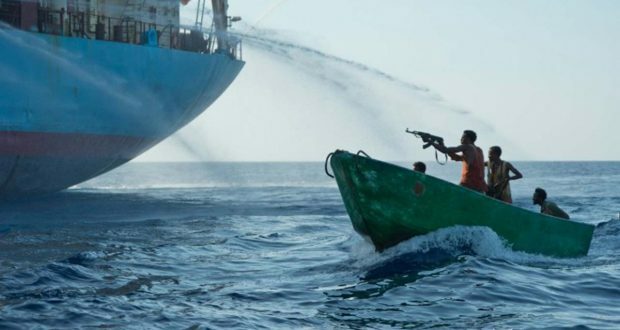 The News coverage after the events presented evidence from the Cargo ships log advising the vessel to maintain the distance of more than 600 miles from the Somalia coastline, according to the logs the ship was only about 300 miles offshore. However, in the movie Tom Hanks portrays the Captain as a cautious man conducting security drills and following protocol as the events unfold. “let’s tighten up security. We are going around the horn of Africa, right? We got, uh…pirate cages, they’re all open, all the doors are unlocked. I want everything closed, locked, even in port.” – Tom Hanks. Hanks also portrays Phillips as a heroic individual prepared to sacrifice himself for the safety of his crew, which works better in terms of character development and the audience’s connection to the story. The rest of movies accuracy is on point including the number of Somalian pirates who boarded the ship and moments such as Captain Phillips faking a call to the navy to deter the pirates, the use of firehoses and offering the pirates $30,000. 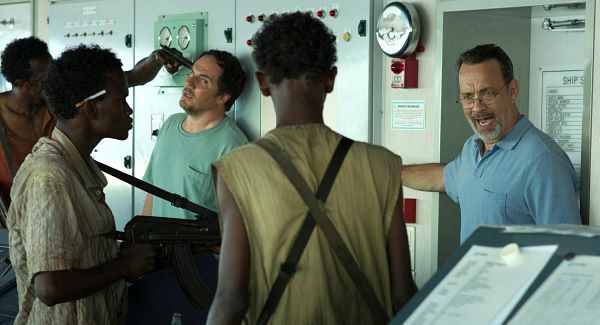 Tom Hanks as always is incredible in the leading role and brings so much depth to the character, the worry when the pirates approach on the monitor, the bravery when standing in front of the armed hijackers, the emotion when writing a letter to his family, all his characteristics are truly believable. Another stand out role is the lead hijacker Muse as played by Barkhad Abdi in his very first acting role, he’s menacing, threatening and is trying to prove himself as a leader. Another interesting piece of trivia is the first encounter between the crew members and the pirates which was completely natural, Greengrass purposely kept these groups apart until the day of filming to create further tension during the bridge take over. Being Barkhad Abdi’s first acting role, Greengrass offered up some encouragement by telling the actor to “own it”. The line “Look at me, I am the captain now” was ab-lib by Abdi and this clip was then used in the trailers and for Abdi’s best supporting role award consideration. It also became one of most memorable scenes from the movie, as audience members we could only imagine this character’s desperations as we are also shown the poverty and dangerous conditions that the Somalians live in and the reasons as to why these anglers would be forced into a life of crime. The movie uses little to no music score throughout and in my opinion, makes the whole experience feel more real, suspenseful and claustrophobic as life in general has no constant backing track. I also like the fact that real locations were used during filming rather than using a greenscreen, this did cause a crew member to become slightly sea sick though and they vomited over Hanks whilst filming a scene in a lifeboat! At times Captain Phillips loses momentum but never enough to make the audience lose interest, when ever the movie seems stagnant the pace picks back up. This is mostly noticeably when the Navy is following the lifeboat before the suspense increases for the final act. The final scenes are the stand out moments for me, it’s no mystery that Tom Hanks is an incredible actor proven by his successful career however Hank’s performance after he has been rescued is phenomenal, the emotion and the shock had me holding my breathe as he struggles to speak and realise he is safe. 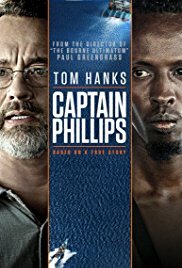 Overall Captain Phillips is a unique thriller that has an incredible story, great cast and a great director at the helm, it’s powerful, thrilling and shocking. If you are looking for a realistic and suspenseful ride Captain Phillips is the movie for you and one you will be hurrying to watch again.